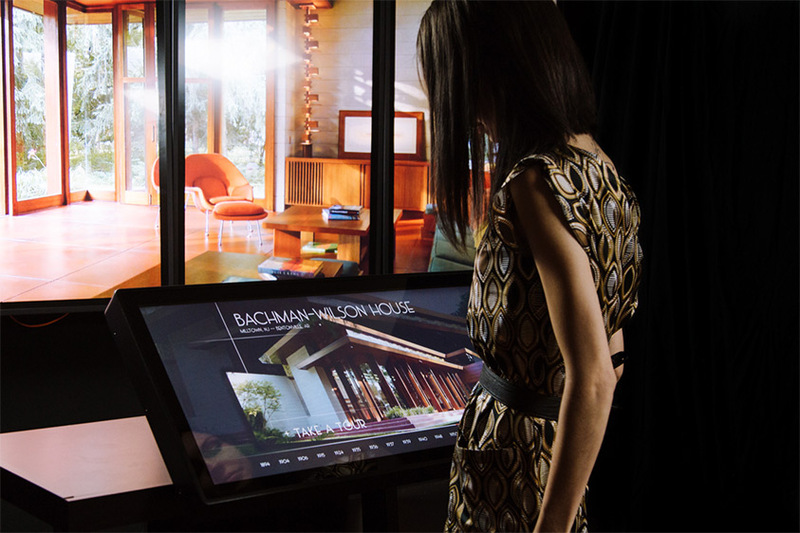 Ideum collaborated with Crystal Bridges Museum of American Art on an application that will allow visitors to visually explore Frank Lloyd Wright’s domestic architecture, with a special focus on his Usonian homes. Crystal Bridges recently acquired Frank Lloyd Wright’s Bachman-Wilson House and moved it from its original location in Millstone, New Jersey to the museum grounds in Bentonville, Arkansas. The Bachman-Wilson House will be open to the public beginning on November 11, 2015. 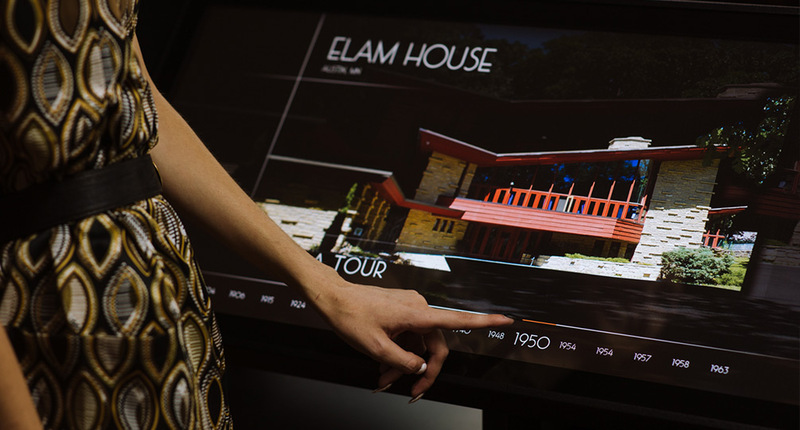 Ideum designed and developed the application based on a timeline of Frank Lloyd Wright’s work in domestic architecture. Visitors to Crystal Bridges will be able to swipe through the timeline to view images illustrating the evolution of Wright’s home designs. Visitors will also see in-depth images and read history about each home on the timeline. 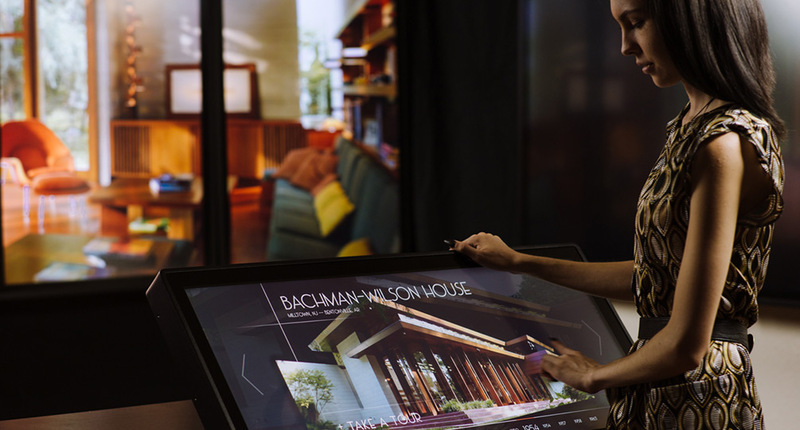 The application will be displayed on a "stretch" multitouch display custom designed and built by Ideum. 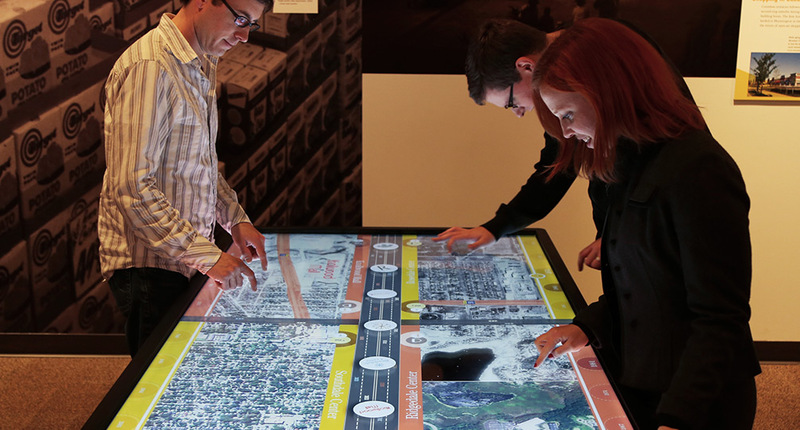 This unique form-factor display is perfect for timeline-based interactives like the Frank Lloyd Wright application. This application is one of a series of projects on which Ideum and Crystal Bridges have collaborated. In 2014 we debuted State of the Art, in which biographical data about a wide range of current artists was made available to Crystal Bridges visitors. Earlier in 2015 Ideum worked with Crystal Bridges on the Warhol / Wyeth Interactive Photo Kiosk, in which visitors have an opportunity to become art themselves. 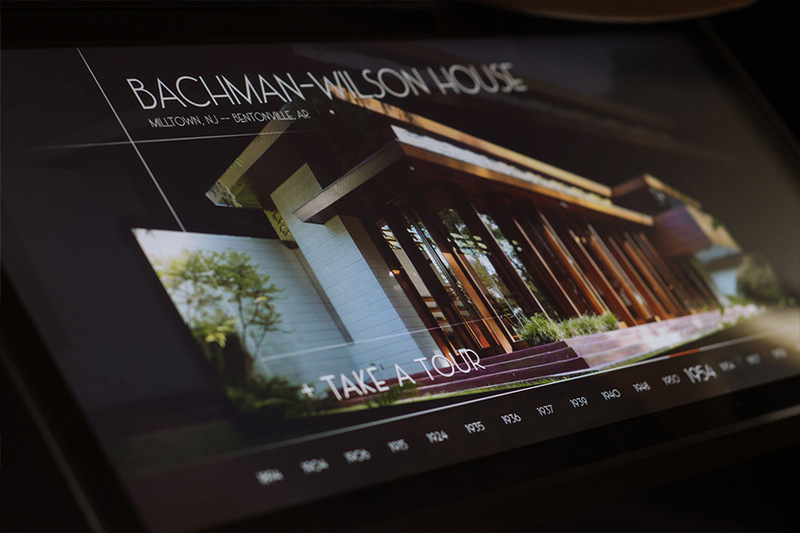 Visitors can take a virtual tour of featured homes. 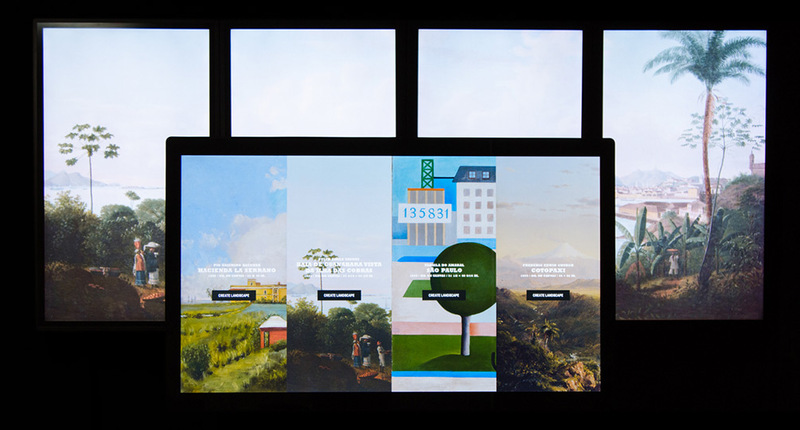 The timeline lets visitors explore the evolution of Wright's designs.